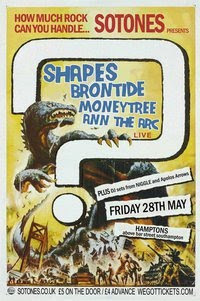 Tomorrow night at the Hamptons is the Moneytree curates evening! Many good band is playing including Moneytree, Ann the arc and others. Get down there, its not very expensive at all! And to be honest your paying for quality! I (sam) will be there, and I well and truly hope to see you there! If you have a good (and I mean a GOOD) reason not to be there, I’ll tell you all about it in another post saturday or something. I really should start keeping up to date with blogging! More from me Saturday! http://www.facebook.com/event.php?eid=124089964272523&ref;=mf All the details are right on that link there!